We truly enjoyed every minute of our tour of Marrakech with Khalid! He was responsive to my email and helped design a tour for our group of 8 with transportation. Khalid is very knowledgeable and pleasant! We learned many historical facts and enjoyed our shopping experience! We would choose him again as our tour guide! TOUR GUIDE RESPONSE: Thank you very much. Say hi to everybody . Best wishes to your family. Khalid was a great tour guide. We'd recommend him without reservation. He is friendly, knowledgeable, and flexible, adjusting the proposed tour to take into account our interests and the sights we saw before our tour. We learned so much more both about the specific sights and about the history of Marrakesh and of Morocco than we would have learned on our own. Khalid was absolutely fantastic. He was friendly, knowledgeable and accommodating. He made us feel very safe walking around the souks and went out of his way to be helpful. I cant recommend him highly enough. Khalid is an EXCELLENT guide. His knowledge of Marrakech and Moroccan history is vast and impressive. We learned so much from him that day and enjoyed his company very much. He knew we were interested in Jewish history so he spent extra time with us in the Mellah and gave us a lot of information about Moroccan Jewish history - we learned a great deal from him and had an even greater appreciation for Morocco after our time with Khalid. I would strongly recommend him to others. We had a very comfortable tour with Khalid. Khalid is very informative and has a good sense of humour. He was very helpful, kind and willing to answer any questions that we had. We just got back from our tour to Morocco. We were a group of 12 people and we had a lot of issues with sickness. We all were sick with viral and Khalid from tours by locals was a huge blessing. We had to change our plans on the fly and that was not an issue for Khalid. His vehicle was very comfortable. He is a very knowledgeable. I would highly recommend Khalid. Thanks, Khalid, for a great experience! Even though we had already started to explore the market a bit on ourselves before the tour, Khalid showed us many hidden places that we never had found without hin in the huge labyrinth of small alleys. The guide was very nice, friendly and knowledgeable. And - important for us - we never felt obliged to buy anything anywhere. Clearly recommended! Khalid did an excellent job. I am interested in history of Portugal and Spain but had never visited Morrocco. He helped give me some context of what the many movements of people and migrations of people of Morrocco (Moors, Andaluzians, etc) to Spain and Porugal and back and to understand the archetecture. One of the best walking tours every. Khalid is a wonderful, knowledgeable guide. He very kindly tailored our day to fit everything in that we wanted see and more!. I am a keen photographer who likes to document culture and social spaces - I really can not thank Khalid enough for understanding what my Husband and I wanted to experience and extract from the time we had available in Marrakech. Just editing images now and looking forward to sharing them with Khalid too. Thank you. TOUR GUIDE RESPONSE: Thank you Julie. Very much enjoyed Khalid and his tour. Incredibly knowledgable of Marrakech and Moroccan culture. He took us where we wanted to go, some places he suggested and worked on OUR schedule. Fantastic experience and highly recommended. TOUR GUIDE RESPONSE: Thank you for your feedback.I will be happy to see you again. Best wishes. Excellent and comprehensive tour with a lot of historic background. Very recommendable guide. It was our first time to visit Casablanca and Marrakech.Khalid meet us at the airport.The bus was excellent,supplied with bottled water at all times.Khalid was an excellent guide, very accommodative to our needs and readily accept change of plans without hesitation, he explain to us about many aspects of Morocco.Khalid is very patient and helpful. We were very happy with his services and will not hesitate to endorse him to anybody visiting Morocco.Thanks Khalid, a truly memorable journey. Rgds.Emilia. We had two fantastic half day tours (one cultural and one for the souks) from Khalid in Marrakech, and it would be fair to say that his guiding made our trip. Superb knowledge and insights, well judged pace throughout and a thoroughly good bloke. Khalid was flexible and helpful in adapting his schedule. My parents enjoyed their tour with him. Khalid was helpful and informative. He looked after my parents well who enjoyed their tour with him. Our tour with Khalid was absolutely wonderful. He was excellent - very knowledgeable about all areas we visited. He ensure we got to see everything, including the items we had on our listing or places we must see. His social conversation when we rested was enjoyable and just a good hearted all round joy to have him as our guide. Thank you Khalid. You made our first day in Marrakech fantastic and we carried away memories of a lifetime of our time spent there. Khalid organised everything perfect. Out transport to and from Casablanca airport., a perfect 4 hours tour in Marrakech. and a tour to Ourika valley where he guided us to a local market and traditional villages. He also managed to give us a very good view of Casablanca in just 2 hours. The vehicle we used was very comfortable and his driver was above expectations. Very polite and pleasant. Khalid helped us in whatever we asked even out of schedule and answered avery question always with a smile Thanks ! TOUR GUIDE RESPONSE: Thank you Nikos,Hopping to see you again with TBL. Excellent tour guide. Very knowledgable. We would recommend Khalid to anyone. TOUR GUIDE RESPONSE: Thank you Oliver. We fixed a tour with Khalid on short notice. He was very flexible as regards what we wanted to do and was able to give us good information and answer our questions. All in all a good experience. TOUR GUIDE RESPONSE: Thank you Peter,Toursbylocals will be always happy to show you more. Khalid is a professor or Moroccan history in a guide's body. Erudite and fluent, he was the ultimate professional. His wonderful walking tour of the Marrakech medina was well-planned and executed, which gave me a concise and interesting history of the places we were visiting. I had already spent several days in Morocco, but Khalid brought everything I had already seen into perfect focus with his historical background. Khalid is the best guide I've ever had, anywhere. TOUR GUIDE RESPONSE: Hello Laurie Thanks for the revew. I want to be sure that you received your purchasings. Best regards. I took the walking tour of the Medina with Khalid in the morning, and then we joined up after lunch for a tour of the souks. It was fabulous. 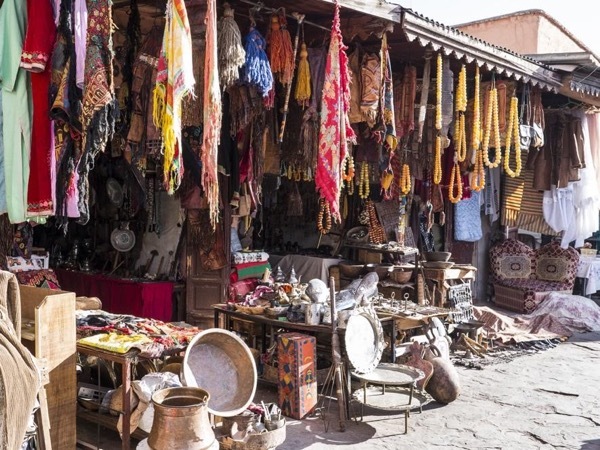 Besides a great tour of all the alleys and byways of the ultimate medieval shopping experience, when I told Khalid that I was shopping for a new home, he confessed that he had grown up in the souks, and then took me to all of the really GOOD places. This was not tourist crap. We visited craftsmen and artisans who are the best at their craft. It was fabulous. On our first visit to Marrakech we spent the day with the charming, eloquent and knowledgable Khalid. While taking in all the sights, the day was relaxed and informative with Khalid gently keeping us on piste while indulging all our requests and answering every question. He is a true ambassador for this exotic city, met with handshakes and good wishes wherever we were - an A * recommendation. Khalid was professional, informative without being too long, very helpful in showing us the best transport to use. The way he showed us the sights and history helped us understand Marrakech much better. He also helped us find things we specifically had on our "to see" list. In following days we still managed to get lost in the Souks but were able to remember where Khalid had taken us and find our way out. TOUR GUIDE RESPONSE: Nice to hear from you. Khalid gave my friend and I an excellent relaxed tour of the souks and really tailored it to what we wanted to do. In fact, after the souk tour, he helped us find where our hammam baths were and showed us around the Saadian Tombs since we had the time. He gave us great information about the history of the city and the souks and answered all our questions about the government and religion. He is even a great story teller! We had a great time, thanks Khalid! Interesting tour, tour guide is an expert in the history of Marrakesh. Khalid is a knowledgeable and thoughtful guide. Having him as our guide greatly enhanced our experience of Marrakech. I highly recommend him. Khalid is a knowledgeable and thoughtful guide. 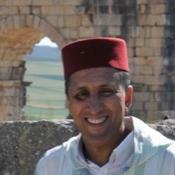 Having him as our guide greatly enhanced our experience of Marrakech. We did three tours with Khalid, and every day he taught us new things and expanded our horizons. If you come to Marrakech or Morocco, you will be lucky to have such a guide. We decided to start our week in Marrakech with a souk tour with Khalid. Even if it has been my fourth time in Marrakech, so I knew the city a bit, it was the best decision we could have made. Khalid guided us to wonderful spots and places, told us interesting stories and caught up instantly, what we want to see and what kind of information we were interested in. Due to his time where he lived abroad, he has an excellent sophisticated knowledge about his country. We would always again book a tour with him. Mr Khalid was very efficient and quite knowledgeable of his city. He took very good care of me and was very attentive to questions and requests. I had a wonderful guided walk with him. He was very passionate about his city and culture. My wife and I took a tour with Khalid on the historical sites of Marrakech. We were both very impressed with the tour and of the personal touch shown by Khalid, the knowledge was excellent and he accommodated to any requirements. I would highly recommend Khalid for anyone wanting a personal tour with good a English speaking guide. Khalid is extremely knowledgeable and a genuinely great person. No one in our group could communicate in French or Arabic and we definitely needed a guide. Khalid went above and beyond our expectations to show us all of Marrakech and a great glimpse of the Atlas mountains in 1.5 days. Everything ran according to plan and Khalid got us out of bad situations with hustlers, snakes/monkeys in the square, good places to eat, etc. Highly recommended!!!! TOUR GUIDE RESPONSE: OH it's great to hear from you brothers.Wish you good trip. Khalid was fantastic!! Ive traveled the world & almost always use private tour guides & I can honestly say that Khalid is among the very best! He seemed to have connections in each one of the souks we visited & was able to get us access to the back side of the souks which is rarely seen by tourists. He informed us culturally, gastronomically & historically & was happy to answer our questions. We are 2 women in our late 30's & highly recommend Khalid! He was just amazing! TOUR GUIDE RESPONSE: Very happy to hear from you.Hopping to see you sooner. Best regards. Khalid. Khalid was our guide on our first day in Marrakesh. The official tour started in the afternoon to end at the El Fma square in the evening, but it suited us better to going with a tour in the morning and Khalid was happy to accomodate us. His standard tour didnt take in the tanneries but he was happy again to be flexible on this. He arrived on time, and thru the day was was very professional, friendly and informative. We had our 2 kids with and he was very patient and let us go at our own pace. TOUR GUIDE RESPONSE: Thank for your comment.Best wishes to your family.